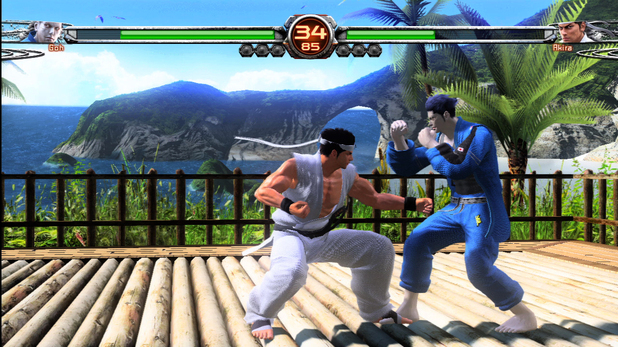 Virtua Fighter 5: The Final Showdown is the most complete and best version of the classic fighter, even if the game itself hasn't aged as well as others. To be completely honest, I’m not the biggest fan of the fighting genre of video games. However, I don’t have anything against them at all, having spent many nights with friends bashing and mutilating each other over some Mortal Kombat, SoulCalibur or Street Fighter. Every series has something unique that helps it to stand out from the rest of the pack, and I can understand why each of them has such a devoted following. The Virtua Fighter series has always been on my radar as an insanely popular and well done succession of slightly more realistic fighters, and Virtua Fighter 5 was the pinnacle of the series…in 2007. That’s just the original version (outside of Japanese arcades) we’re talking about, and not the various letter/number combinations that have been streaming out the past few years. While each new iteration continued to build upon the original (and successful) formula, it’s easy to say that Virtua Fighter 5: Final Showdown is the most complete and best version of the classic fighter, even if the game itself hasn’t aged as well as others. The fighting mechanics are most similar to the Tekken series, as weapons aren’t the focus, and neither are ridiculous laser beams or other insane brutalities. 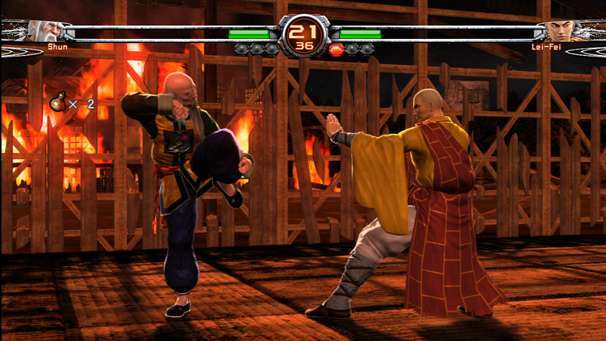 Everything feels more realistic, with move sets plucked out of reality and used by characters with various fighting styles, ranging from drunken kung-fu to sumo. The 20 characters featured on the roster don’t feel as unique or distinctive as those from other fighting games, but the decision to implement different styles into each fight helps make up for the lack of characterization. In the same vein, the story is pretty much nonexistent. A group of people fight in various locales that act like snapshots of every corner of the world rather than a coherent series of environments. Fans of the series may know exactly what is happening, but newcomers such as myself won’t have a clue. Luckily, fighting games are rarely plot centered, so who can blame Final Showdown for skimping on storytelling? For us newcomers, the ability to pick up and play a fighter can make or break a game, and Final Showdown is probably one of the easiest fighting games I’ve been able to wrap my head around. The tutorial mode is a godsend, going over the basics and more advanced techniques in an easy-to-learn manner. After only a few minutes, even I was tossing people across the room with combos that flowed naturally and smoothly. Although the gameplay still benefits from the “easy to learn, hard to master” style of thinking, there are a few problems that persist with this newest version. First of all, this is the umpteenth port/remake of a five year-old game, so fans are probably waiting for a new release rather than more features added to an old game. Because of this, all of the additional features feel like SEGA was putting glitter and fake eyelashes on an ugly, old horse. The graphics, though not terrible, are not on par with what this generation’s consoles can do. The environments are beautifully animated, but only a few stand above the competition. Character models also suffer from aging, and they can look a little ‘blocky’ when not in constant motion. Luckily, Final Showdown comes with an almost excessive amount of customization options and DLC for each character, letting you add everything from halos to fancy new belts if you’re willing to pay for them. With your character all decked out in flashy headbands and gloves, it’s time to run them through the dry Arcade Mode. This is as vanilla as it gets: pick a fighter, fight multiple people, fight big boss, game over. The difficulty curve goes off the charts about halfway through the matches, as previously comatose enemies suddenly crank out combos that can kill you before you even land a single hit. Attached to this mode is Score Attack, which compiles your score based on combos, strikes, times and other factors. Finally, there are various challenges that make up the most engrossing single player experience. 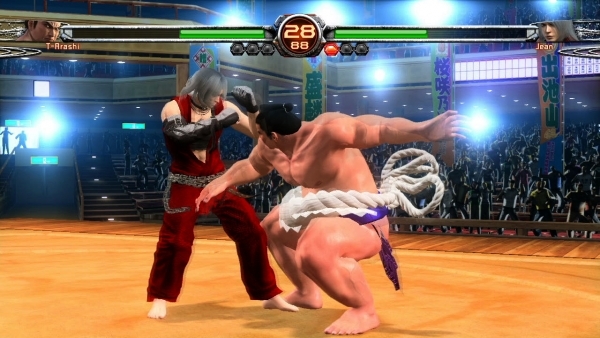 Final Showdown also gives PlayStation 3 gamers their first shot at online competitive play, by adding an eight player Online Room Match Mode option. Most players will get their bang for their buck from this mode, and luckily it doesn’t disappoint. There’s no lagging during fights and everything plays out as well as expected from a current online fighting game. Players can also record, upload and playback videos of them beating the snot out of their friends. What makes Final Showdown worth a purchase, I hear you ask? Well, if you’re a Virtua Fighter fan, you already know: easy to pick up and play controls, furious one-on-one battles, and different fighting styles that make for insane clashes. If you’re new to the series, the budget price isn’t too shabby either (especially since the game is free for PlayStation Plus users for the whole month of June). Despite feeling dated and out of place among other top tier fighters, Final Showdown makes many necessary additions to the successful Virtua Fighter 5 formula, adding just a bit more longevity to the series and keeping fans satisfied. But, maybe now it’s time for SEGA to finally focus on a true sequel rather than polishing their gem until it’s lost its luster. This article is based on the PSN version of the game, which we received for review purposes.